Losing weight requires a lot of dedication and hard work and may involve physical and emotional costs. 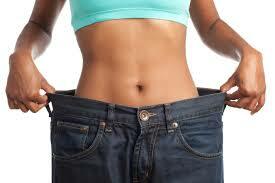 It is hardly surprising that many prefer the easy route by taking weight-loss supplements. While almost all weight-loss supplements are marketed as beneficial for the body, some may actually be harmful to one’s health. Nutrition experts debunk certain claims about weight-loss supplements and reveal possible health risks. Myth #1: Weight-loss supplements are approved by the United States Food and Drug Administration (FDA). Truth: The US FDA does not have the authority to review dietary supplement products for safety and effectiveness before they are marketed. It only steps in when a “dietary supplement” is found to contain harmful substances. Myth #2: Weight-loss supplements alone are enough to lose pounds. Truth: Weight-loss supplements cannot substitute for healthy eating and regular exercise. Many weight-loss supplements’ labels include a disclaimer that they do not guarantee a specific weight-loss benefit, that individual results may vary and, to get the most benefit, they must be combined with proper diet and exercise. Myth #3: Supplements like Hoodia, green tea and bitter orange aid in weight loss. Truth: Green tea, bitter orange and the African herb hoodia have not been scientifically proven to burn fat. In fact, hoodia has not been studied in humans. It is also unclear if it curbs appetite. Green tea contains a fair amount of caffeine, which may result in some weight loss initially, but it will not burn fat. Too much caffeine can affect the heart rhythm and disturb sleep. Bitter orange has synephrine, an alkaloid found in plants, that can be dangerous to health as it increases heart rate and blood pressure. Myth #4: “Natural” is safe. Truth: Some weight-loss supplements containing “natural” ingredients like herbs comfrey or kava may be harmful to the liver. Claims that “natural is safe” is not always true. Safety depends on the supplement’s chemical makeup and what it does to the body, how it is prepared and the dosage used. Also, while an individual supplement may be safe, the combination of several products may be risky. If you are under medication, it is best to consult your doctor first before taking any weight-loss supplements as they may affect the efficacy of your medicines. While some supplements may result in weight loss in the short term, they may have long-term adverse effects on the body, which may not be able to handle the stress of dramatic weight loss or process artificial food and supplements. They may be unsafe for those with existing medical conditions or those who need to lose a lot of weight. If you feed your body the right kinds of food, avoid unhealthy snacks and adopt other healthy habits, you should be able to rebalance and reboot your metabolism naturally. Nothing beats fresh and good food to improve health and promote healthy weight loss.